Join Parramatta Library and read everything CRIME for this months Read Watch Play theme CRIME READS. Crime is very popular here at the Library both among staff and our Library members. When you are in the Library check out our display of Crime Reads, located right when you walk in. 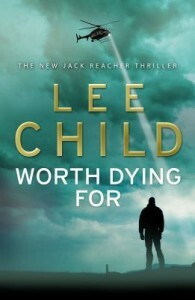 I recently saw the “Jack Reacher” movie starring Tom Cruise, which piqued my curiosity about the popular action/thriller novels written by Lee Childs. So far he has written 17 novels which are eagerly awaited by his fans. Worth Dying For and Nothing to Lose are the two titles I picked randomly from our Library shelves, to see why this series has so many fans and was pleasantly surprised by the experience. The eponymous character Jack Reacher is described as the archetypal loner, a man who travels anonymously throughout the American states putting to rights the wrongs perpetrated by powerful and corrupt people on the powerless in American society. In the first novel I read, Worth Dying For, Jack Reacher arrives in a small American town and is treated with suspicion and contempt by the local corrupt family who have a dark secret. 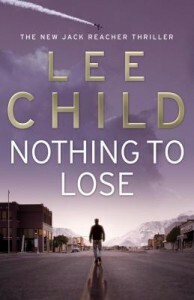 The plot in Nothing to Lose is similar but the pace and the plotting in the Jack Reacher novels is fast and there are twists and turns to keep the reader eager to find out what will happen next. 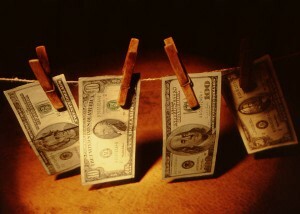 The Jack Reacher character is well crafted he is always strong and reliable and he takes the side of the down trodden. Significantly he uses his brains and reasoning as well as his impressive physical strength to get the better of his opponents, always the bad guys. I really enjoyed both of these Jack Reacher novels for their detailed descriptions of both place and people who make the action seem very credible, and his clever plots. The Jack Reacher character is also appealing because he is described as a 6 foot five GI Joe lookalike, who is likeable because of his compassion for the wronged “little guy”. Overall, good quality escapist fiction. Even Parramatta Library’s GET READING Book Group will be reading CRIME articles – with an Australian theme. At the next meeting on 2nd May 2013 the group will be reading and discussing two articles on great Australian Crime mysteries – The Beaumont Children and The dissappearance of Harold Holt. Please join Read Watch Plays twitter discussion. There will be a live twitter discussion on Tuesday 30 April starting at 8pm Australian Eastern Standard Time. Use the tags #crimeread and #rwpchat as you discuss the reading, watching playing that is your experience of #crimeread, so others can join in the conversation too. This entry was posted in All, Mystery & Crime, Recommended Reading by admin. Bookmark the permalink.